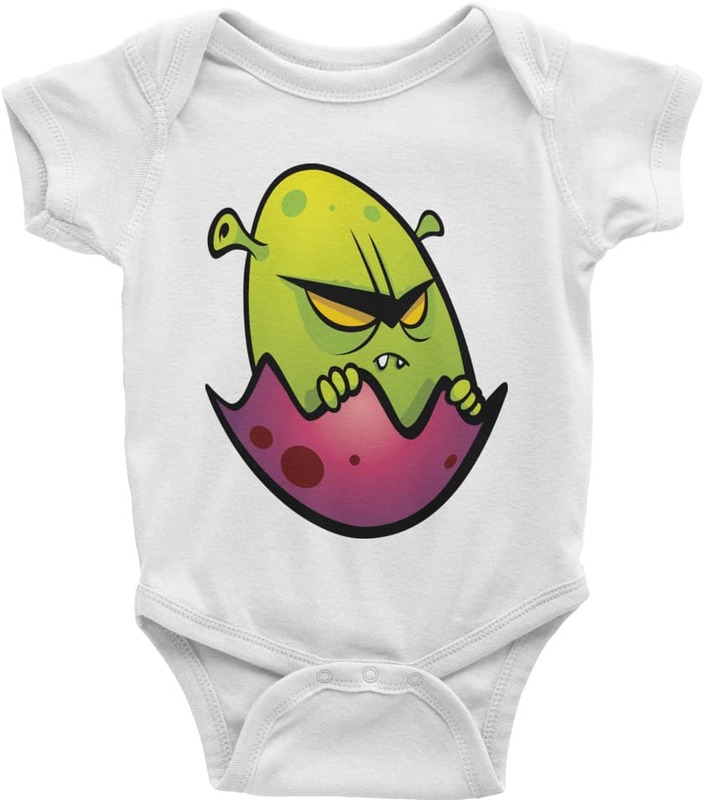 This fun baby onesie displays a monster alien in an egg on this design by Squeaky Chimp. This baby onesie is designed for maximum comfort. This comfortable baby onesie is made of 100% combed ring-spun cotton. The lap shoulders ensure that the bodysuit can be easily put on and taken off, making for easy changing.